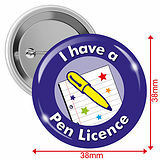 The pack of 10 button badges make the perfect reward to those who have moved on from the pencil. 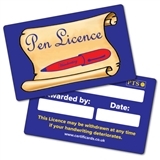 The “I have a pen licence” 38mm badge is a great way to show a pupil they have achieved something spectacular. 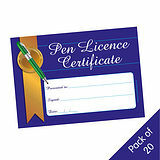 Did you know: did you know the first ball point pen was issued on October 30, 1888, to John J Loud?